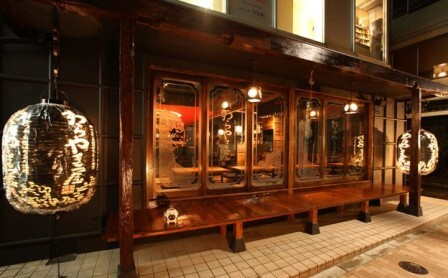 The “Izakaya” are those places where you can eat and drink at low prices, although the food quality remains high. Izakaya are the favorite places of Japanese Salarymen that, when they end up their working days, they meet together with their colleagues, consuming food and gallons of beer and sake. The Izakaya, excluding dining areas that offer expensive high-class cuisine kaiseki, are the most representative places in which to find the real Japanese Cuisine. Every Japanese has hig favorite Izakaya, but obviously for visitors is not so easy to choose among the myriad of places throughout Tokyo. 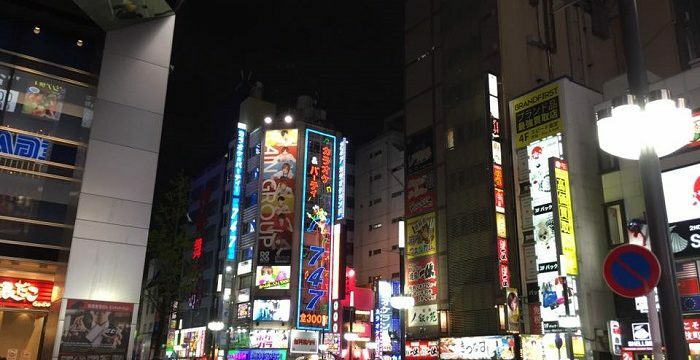 Here you find a short list of Izakaya, where you can have the pleasure to eat, drink and spend a fabulous time (in all these places, of course reservation is recommended). Located in Roppongi, Warayakiya is easily recognizable by groups of young fashion professionals sitting on the veranda facing the street. This is a great way to enjoy both the delicious food and the people present, but if it is your first visit, try to get a place from which you can see the chefs at work. Warayakiya specializes in a method of cooking that comes from Kochi Prefecture, in Shikoku. Instead of grilling meat and fish dishes, the chefs use the straw, which burns at temperatures of 900 ° : because of these high temperatures, the food is passed very quickly on the grill before is perfectly cooked. Opening time : 5:00 am – 05:00 am Monday through Saturday and from 5:00 pm to 11:00 pm Sunday and public holidays. 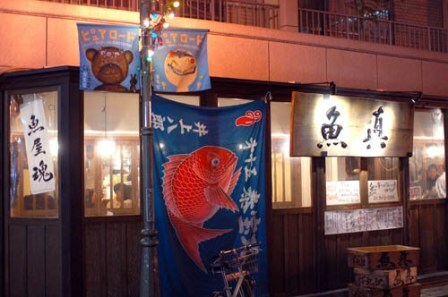 If you love fish and seafood, this is perhaps the best izakaya in Tokyo for you. 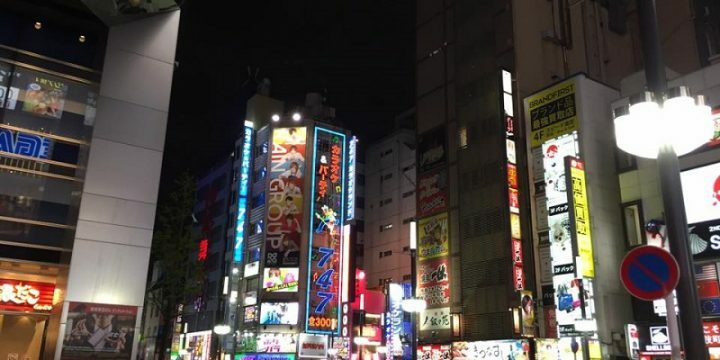 “Uoshin” is actually a chain of restaurants located throughout Tokyo, especially in high traffic areas like Shibuya, Shimokitazawa and Ebisu. But the one in Nogizaka is particularly inviting, with its colored paper lanterns and where you can seat outdoor even in winter, thanks to vinyl tents used to keep the heat. The menu is basically composed of various types of fish and seafood, cooked (or not) in various ways : grilled fish, sashimi, fish eggs and crustaceans of all kinds. Opening time : from 5:00 pm to 12:00 pm, Monday through Saturday, 4:00 am – 11:00 pm Sunday and holidays, also open for lunch weekdays from 2:00 pm. Some people said that this restaurant has inspired the fight scene in the popular movie “Kill Bill” and in any case this place is an institution in Tokyo. 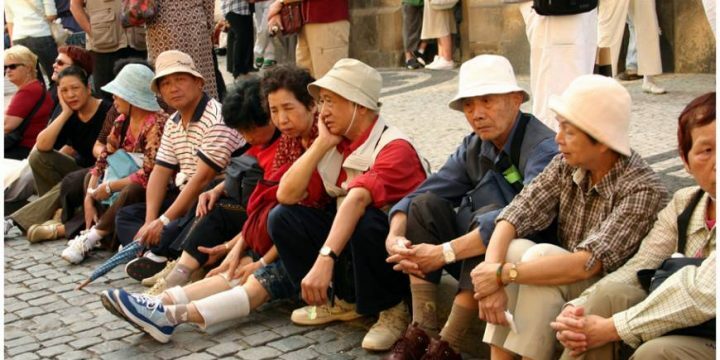 Notoriety aside, Gonpachi remains a popular choice for visitors and also locals. 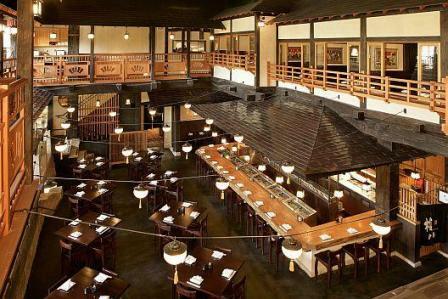 The interior replicates the features of an imposing Japanese castle, where diners are greeted by a friendly team. The whole place is decorated in a warm and rustic way, with lots of solid wood furniture. 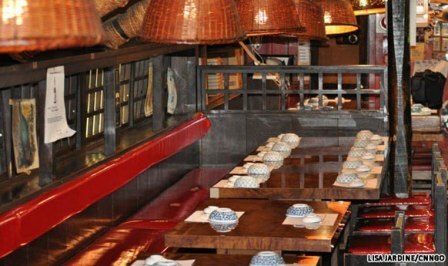 The menu includes everything you would expect from a traditional Izakaya, with skewers and grilled soba dishes. This is also a place that you must visit while you are in Tokyo : Andy Shin Hinomoto is a noisy, boisterous Izakaya located under the tracks of the JR Yurakucho Station. This is a family run business for over 60 years and the current owner is an english man, Andy Lunt, who worked at the restaurant for over 25 years. His experience and perseverance have paid off, making him probably the most universally known and respected non-Japanese owner of Izakaya in Tokyo. Andy’s specialty is a reasonably priced menu, with fish and grilled vegetables. Shin Hinomoto is the ideal place for a casual encounter or even a business meeting, but bookings are essential for large groups, especially during peak hours. Opening time : 5:00 pm – 12:00 pm. Although it is not uncommon to choose an Izakaya according to the menu offered, it is also true that for most people, a good experience also involve alcohol. This is a great place where you can choose between a wide selection of sake, that suit the tastes of the novices, and those of experts. The Takewaka is a place a little more sophisticated than other Izakaya, and here you can drink choosing from a selection of more than 30 varieties of sake. The service is friendly and the food is excellent, with a classic traditional cuisine. Opening time : 5:00 pm – 12:00 pm, Monday through Saturday, also open for lunch weekdays from 11:30 am to 02:00 pm, closed Sunday. 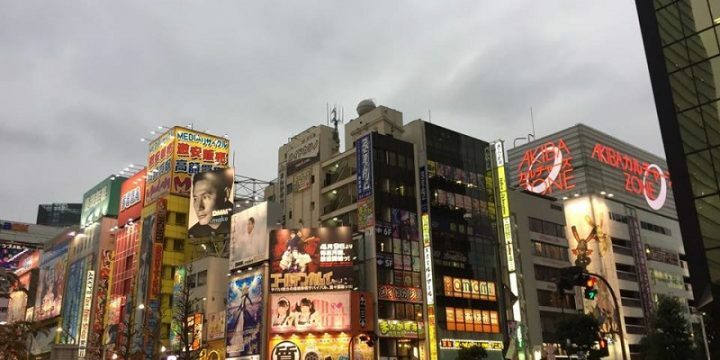 Enjoy your time in a Izakaya in Tokyo !